As usual in the Caribbean, the weather was sunny and warm as the wedding guests arrived at the airport in Santo Domingo. A private air-conditioned coach with an English-speaking guide was waiting to welcome them, all arranged by DOMINICAN EXPERT. As soon as everyone got through the simple immigration process, they started the picturesque drive towards Las Terrenas on the Samaná peninsula where the wedding was to take place. During the ride there were refreshments and finger foods prepared by our own five-star MI CORAZON catering to make the scenic ride across the island even more enjoyable. Among the choices were mini churros, personalized bags of popcorn and pretzels, bottled water and Rosé wine as well as Presidente, the national beer of the Dominican Republic, as an introduction to this beautiful island. 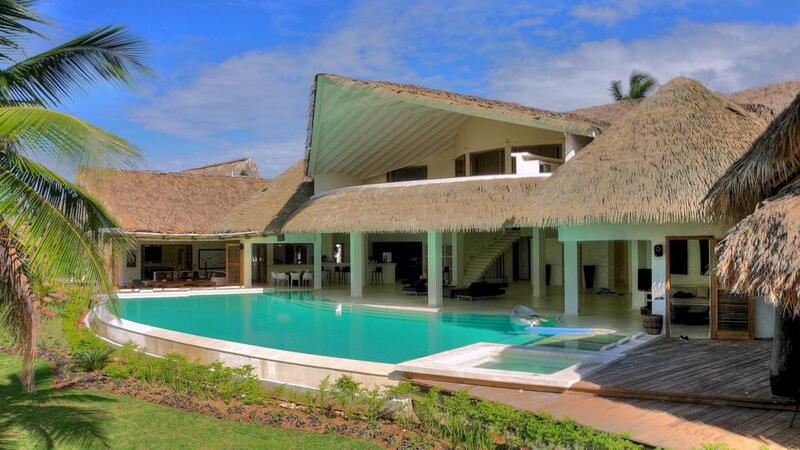 After a 2 hour drive, they arrived at the luxury beachfront “Villa del Mar” in Las Terrenas. 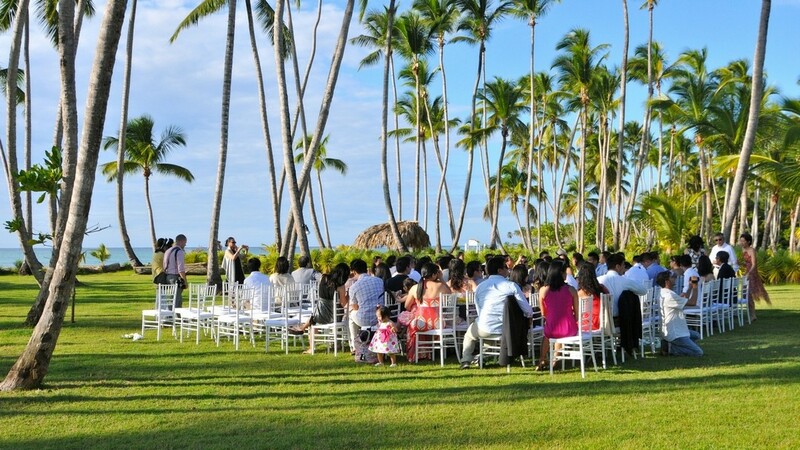 This is one of our favorite spots to host a wedding as it offers a tropical palm-lined garden, a pristine beach and a lot of space and privacy – perfect for a destination wedding in the Dominican Republic. The guests relaxed and let the evening fade away, enjoying the tropical breeze and the beautiful surroundings. On Saturday, the big day was finally here! It was a sunny day, perfect for a Caribbean destination wedding. 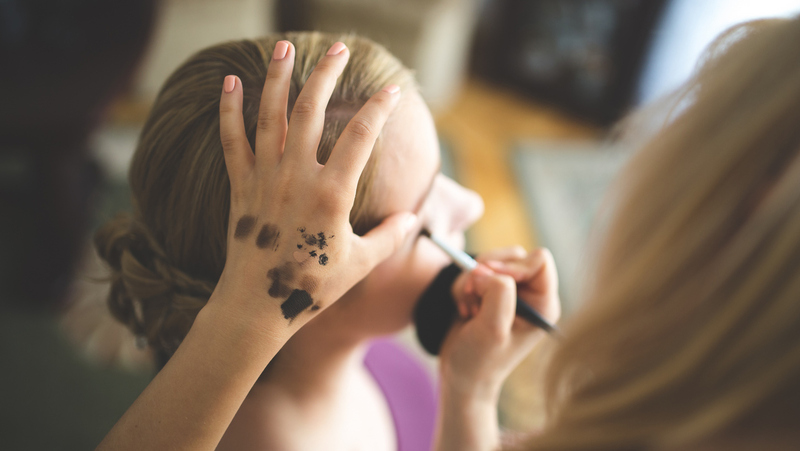 DOMINICAN EXPERT had hired a professional hair and makeup stylist that came to the villa so the bride would look stunning and shining for her special moment. The ceremony took place on the terrace of Villa del Mar, overlooking the pool, the tropical gardens and the expansive blue ocean. 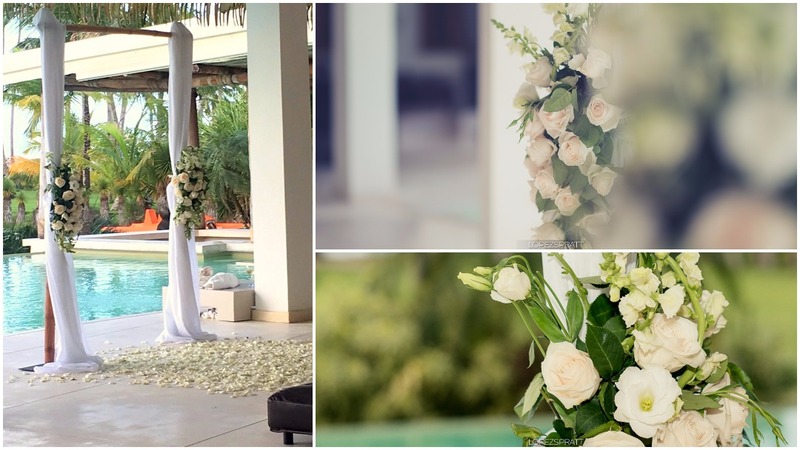 It was adorned with flowers and decorated by the professional wedding planners of DOMINICAN EXPERT, creating a light and elegant atmosphere. The aisle was covered with rose-petals matching the bride’s bouquet and the groom’s boutonniere. Immediately following the ceremony, the wedding party and guests enjoyed a lovely wedding reception with delicious finger foods prepared by MI CORAZON: mini empanadas filled with chicken, beef and cheese, fresh mushroom mini-quiche, vegetable spring rolls, and beef and chicken skewers. This gave the guests some time to congratulate and celebrate the newlyweds. 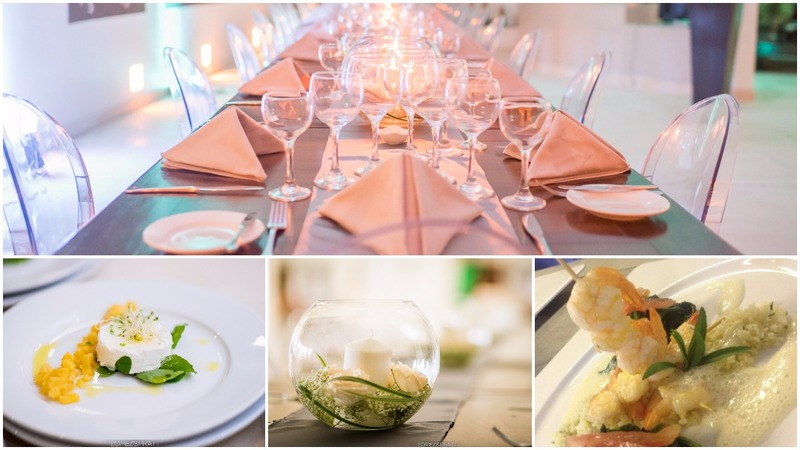 Later that evening it was time for the culinary highlight of the day: a 3-course plated dinner prepared by DOMINICAN EXPERT´s award winning executive chef Florian Strahlheim. The appetizer consisted of an amuse bouche, marinated goat cheese with pineapple chutney and peanut cracker served on rocket salad. The main course consisted of local wild caught shrimp in a soy cream sauce with corn tartlets and Asian vegetables. To top it off, the group indulged in a three chocolate delicacy with raspberry sauce. Needless to say, everyone was delighted by the outstanding catering, the beautifully decorated tables, and the centerpieces that were filled with water, floating candles and flowers. As night fell they danced and celebrated this perfect wedding, enjoying the soft tropical evening. Between dances they could treat themselves to some passion fruit cheesecake, brownies or raspberry macarons. But the final surprise was still waiting for the bride and the groom. The professionals of DOMINICAN EXPERT had decorated the master bedroom at Villa del Mar with roses and candles as a perfectly romantic ending to an unforgettable day. On Sunday they spent the day soaking in some sun and enjoying the beautiful, tropical beach as well as the private pool. 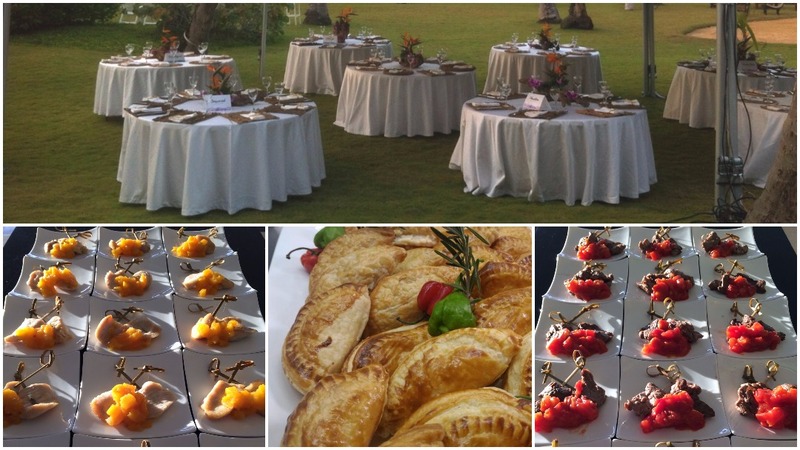 Our MI CORAZON catering pampered the guests with a hearty, tasty barbecue, which they enjoyed in the beautifully decorated garden of Villa del Mar. Monday morning the guests were picked up at the villa and taken back to the Santo Domingo airport. 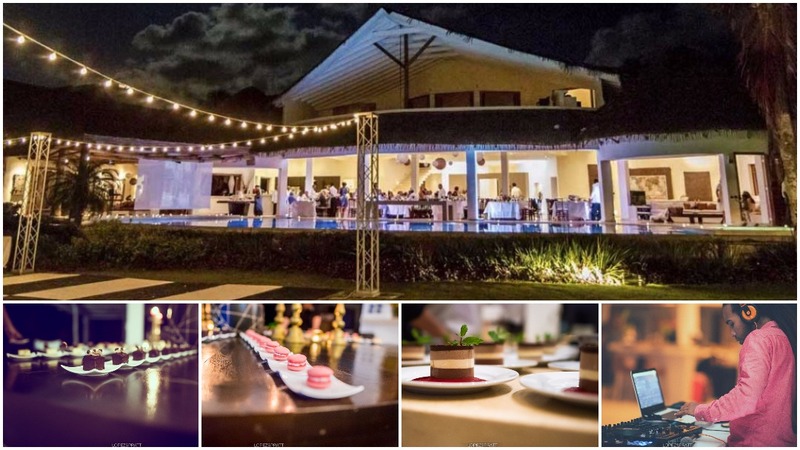 During the return trip they exchanged sweet memories, re-lived perfect moments, and gave many compliments to the organizers of this perfect wedding weekend, flying home with many fond memories of this perfect destination wedding in the Dominican Republic. 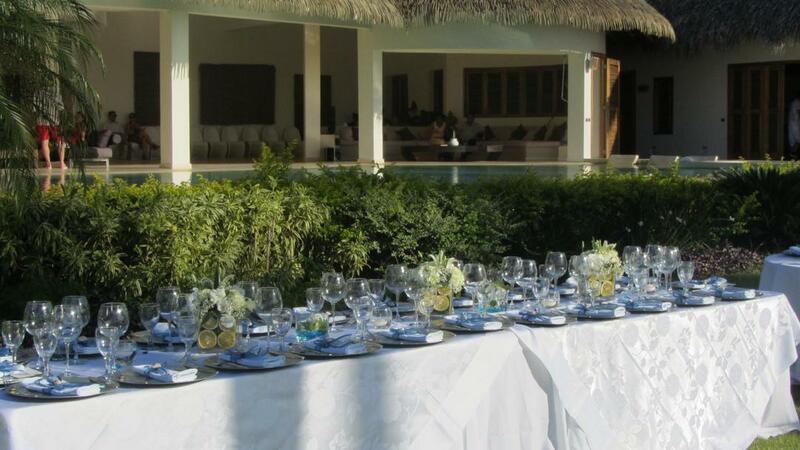 Are you dreaming of a perfect destination wedding in the Dominican Republic? We will be happy to make all your wishes come true!